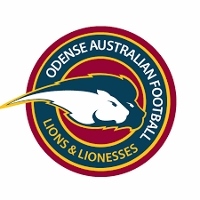 After playing finals in 2017, the Odense Lions dropped to a wooden spoon in the DAFL last season. 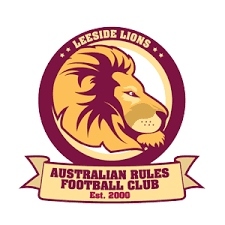 Since then, the Lions have done a mountain of work on and off the field to build a better future and it paid off handsomely on the weekend when they downed the reigning premiers. Odense got off to a huge start in their clash with the Copenhagen Giants, kicking to the scoring end and opening up a four-goal quarter-time break. The Giants came back hard in the second to trail by just five points at the main break. During the third quarter, the Lions kicked ahead and had opened up a 26-point lead at the final change. The last quarter saw the Giants, shocked out of any complacency, throwing everything at the Lions. In the end, the Lions held on by just three points to start the season as winners and have already equalled their win total of last season. Even though the Giants were missing key players, the Lions will be delighted with the win and excited about the rest of the season. 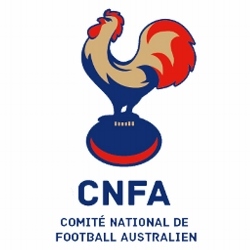 At the completion of Round 8 in France’s CNFA Leo Legrange competition, the Paris Cockerels have joined the ALFA Lions as finals certainties. 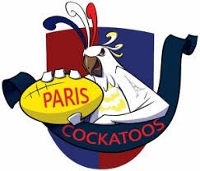 Victory on the weekend for the Paris Cockatoos certainly has them into the finals again as well. They most likely need the four points from their next scheduled match again Stade Toulousain ‘A’ to make sure, unlike the Cockerels and Lions who cannot be displaced. The biggest battleground will be for fourth place. Currently, the Cergy-Pontoise Coyotes hold fourth place ahead of the Bordeaux Bombers on percentage. Whichever team performs best in their final match in coming rounds will possibly grab the remaining finals berth. AFL Europe are pleased to announce that their partnership with National Australia Bank will extend into 2019, making it a two-year consecutive partnership to date. National Australia Bank is returning as the major partner for the 2019 ANZAC Cup. Held in the small town of Villers-Bretonneux in northern France, the match will showcase the Australian Spirit and the French National sides in both the men and women’s competitions, as each side attempts to claim victory in the 11th instalment of this special event. The new SARFL league season got underway last weekend with the reigning premiers, the Edinburgh Bloods, sending a clear message to the rest of the competition – to take our title away, you have to beat us. Hard to argue after the Bloods downed the Glasgow Giants by 86 points. Up against an undermanned Giants team, the Bloods used the conditions to advantage. 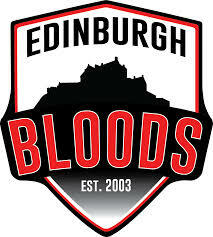 Leading by just two points at the first break, Edinburgh ran away in the second quarter to open up a handy five-goal lead. The third quarter saw both teams holding ground, but the Bloods had all the run in the final term, taking control of the centre corridor, to take the game away from the Giants. It is a profound start to the season for the Bloods – every win is valuable and to start the season with victory already puts them immediately into the finals frame. It was also significant to win away from home in Glasgow. The Giants will be disappointed to lose, but they also know they can come back from this defeat. The opening round of footy in Germany (AFLG) got underway on the weekend. 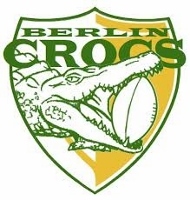 The Berlin Crocs hosted the round robin that saw them up against the Rheinland Lions and the newly renamed Zuffenhausen Giants (formerly known as the Württemberg Giants). Zuffenhausen, like Württemberg, is a part of suburban Stuttgart with the base for the club now in the north of the city (Zuffenhausen) rather than the east (Württemberg). After going down to the Hamburg Dockers in last season’s AFLG Grand Final, the Crocs were determined to get their year off to the best possible start. They succeeded with big wins over both teams. Already the Crocs have made it clear they want to exorcise the demons of 2018’s premiership defeat. 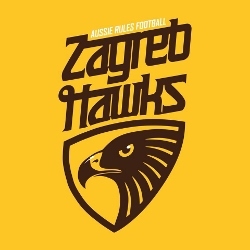 In a match that was well off the radar with attention across Europe firmly turned towards the Champions League in Amsterdam, the Zagreb Hawks from Croatia extended their hand to the Bulgarian city of Sofia. After an 800-mile journey from Croatia, through Serbia and into Bulgaria, the Hawks got the chance to play a match against the Sofia Magpies. Rather than fly, the team travelled cross-country in two vans for the historic occasion. 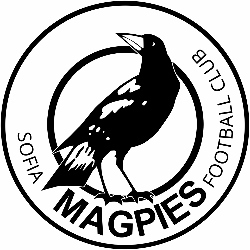 The Sofia Magpies are the lynchpin of the AFL Bulgaria brand. Already the club has a strong connection to the Port Adelaide Magpies in the SANFL, and by extension the Port Adelaide Power, with the Magpies donating a set of the traditional “prison stripes” Port Adelaide jumpers for the Sofia team to play in. The AFL Europe Champions League tournament was played this weekend in Amsterdam. The West Clare Waves from Ireland continued their dominance, winning back-to-back titles in the women’s draw. In the men’s draw it was a changing of the guard as the West London Wildcats were usurped by the host nation’s Amsterdam Devils. The Wildcats have been the only previous winner of the men’s draw, winning all four previous events staged since 2015. Now the Amsterdam Devils are champions and the toast of the Netherlands Aussie Rules community. The 2019 Champions League featured 23 teams (15 men’s and 8 women’s teams – an increase on the 2018 teams) and was played with seeded groupings. In the men’s draw, the Amsterdam Devils downed the Belfast Redbacks whilst the West Clare Waves defeated the Wandsworth Demons. 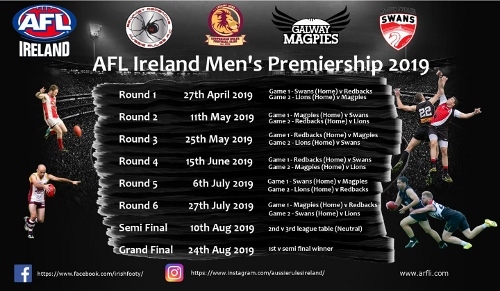 Now that the pre-season action of the Rebel Shield, Leprechaun Cup and this weekend’s AFL Europe Champions League in Amsterdam are done, the eyes of Ireland will turn to the new AFL Ireland domestic seasons. The draw for the 2019 men’s season was released this week. In a revamp of the competition, each round will return to two venues with two home teams, replacing the more recent format of small round robins hosted by clubs across Ireland. The release of the women’s 2019 season draw will follow soon. The ALFA Lions have downed the Cergy-Pontoise Coyotes this weekend and in the process have all but secured another finals battle. 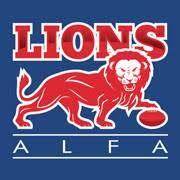 Disappointed they missed the finals last season, the Lions had set their target to see finals this season. Now they have effectively done so and can prepare for the next phase of the season. 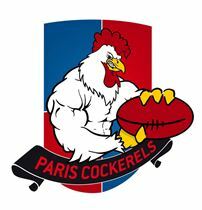 That phase will be a “top of the table” clash with the Paris Cockerels in the final round. There could be no better preparation going into finals that a clash with another potential grand finalist. Their biggest advantage is that the clash will be at their home ground Lyon. Their victory against the Cergy-Pontoise Coyotes by 36 points had two effects. Firstly, it locked in their own finals booking, but it also placed the Coyotes in a dangerous situation. 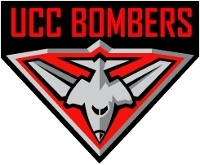 It can only be a matter of time before a UCC Bombers incarnation becomes a fully-fledged AFL Ireland team. Whilst still a university team, the Bombers showed again they have the talent to compete at a higher level, downing the Leeside Lions for the first time since 2017 in the Rebel Shield’s second leg. The following is a small article from the Leeside Lions Facebook page, detailing the day. In a fixture that traditionally marks the start of the AFL season in Cork and the closing of the college season. The Rebel shield again failed to disappoint. With the Lions holding a 17 point advantage over their opponents the UCC Bombers from the first leg a fast start was needed by the Bombers to breathe life into their challenge and fast start is exactly what they got racing into a four goals to one lead in the first quarter.